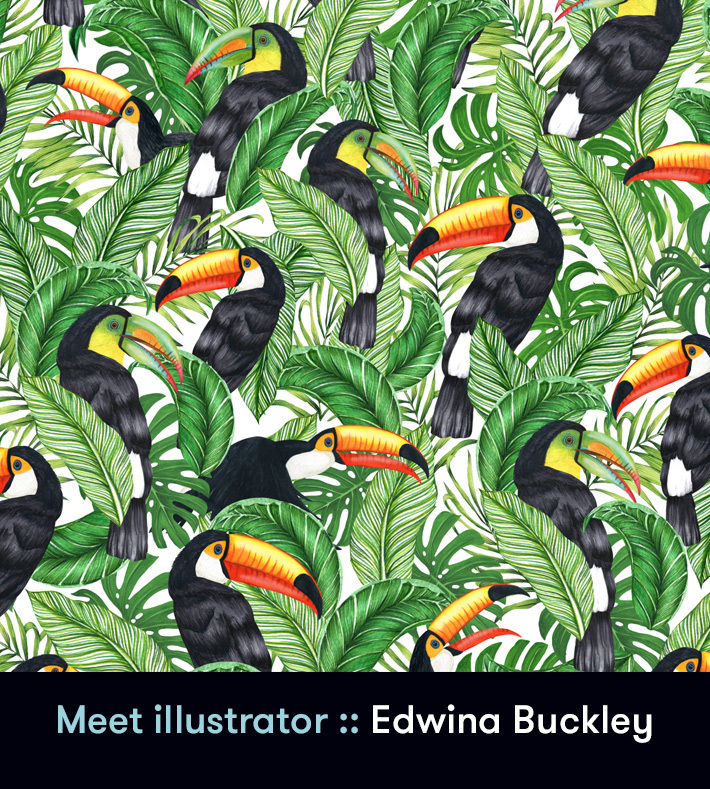 Introducing Edwina Buckley, full time artist and creator of deliciously detailed, hand-painted illustrations. 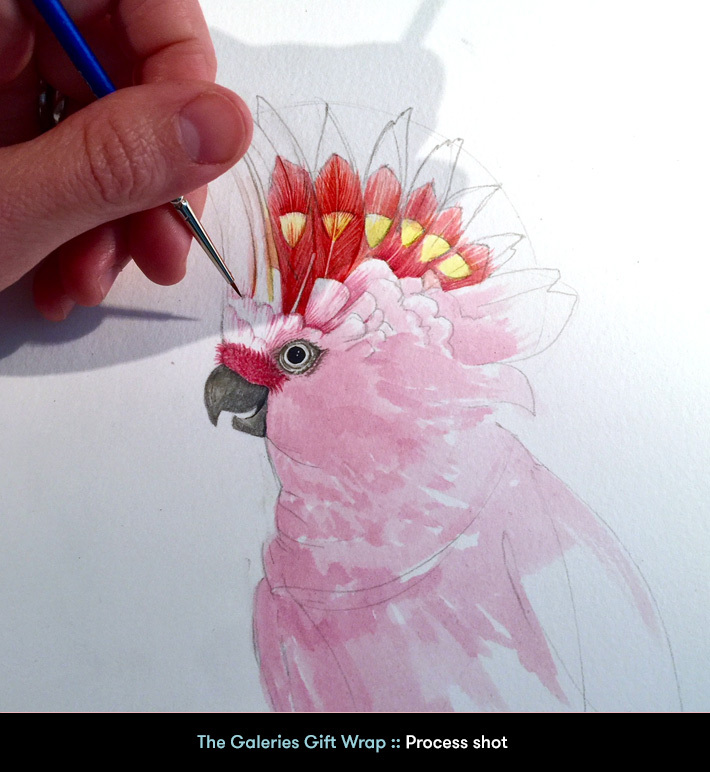 So when The Galeries, Sydney approached Edwina to create two bespoke Christmas paper prints for their in-centre gift-wrap service, they had selected precisely the right artist for the job. The brief was to create something untraditionally Christmassy yet festive – with one print being a little more feminine and the other more masculine. 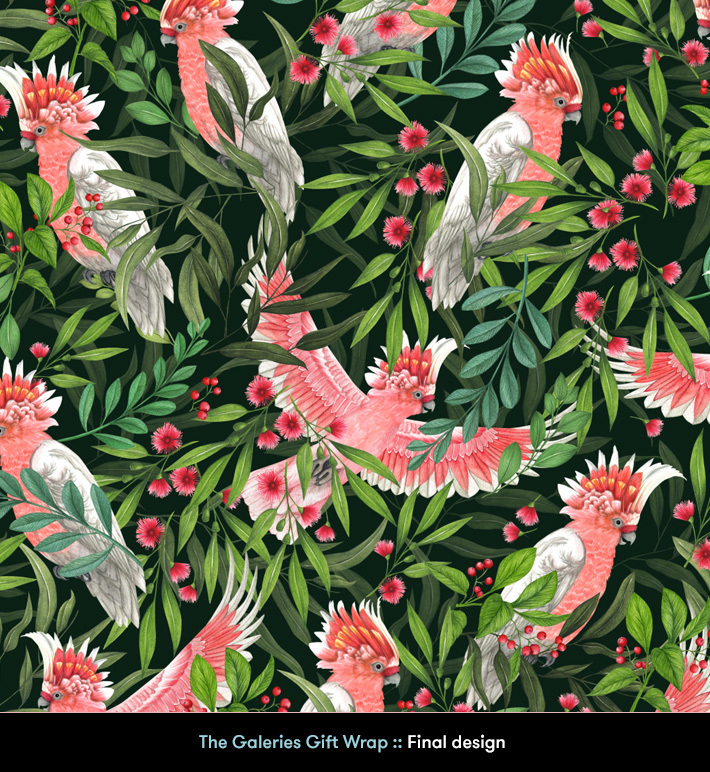 A huge fan of botanicals and birds, Edwina decided on a Pink Cockatoo design – uniquely Australian and with a feminine colour palette – and a more masculine Toucan print. Edwina then collected images of the birds in various positions, mocking up the layouts before painting them in her signature, watercolour style. We think you’ll agree that the end result is nothing short of a Christmas miracle. We caught up with Edwina to chat about her insights and foresights into the industry. My dream project or brand to work on would be for a really strong international fashion brand, such as Gucci or Nike – completely different brands – but each strong in their own right. I’d love to create prints for their collections. They often have really bright, playful prints, which is my thing! 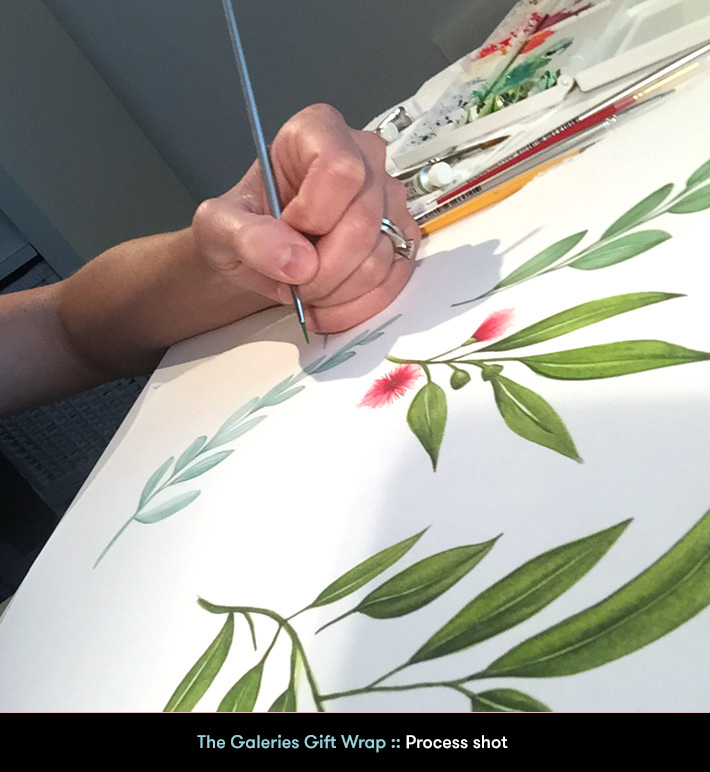 I’m seeing quite a few clients requesting Australian motifs – prints and wrapping papers with beautiful Australian birds and flora. I follow a lot of botanical artists, and birds and flora of all varieties are always popular. ‘Bridge Over A Pond of Water Lilies’ by Claude Monet. Or anything by Claude Monet or William Turner. To check out more of Edwina’s work or to write his next brief, click here.